New York — The National Association of City Transportation Officials (NACTO) and the Open Transport Partnership launched SharedStreets, a first-of-its-kind transportation data standard and platform for public-private partnerships that allows cities to work with companies to manage streets, reduce traffic deaths, and prepare for the unprecedented technological advancement emerging in cities’ transportation networks. Currently, street-level data standards used by private companies and public agencies are incompatible, limiting the utility of current and future data-sharing agreements. The SharedStreets data standard provides a new, global, non-proprietary system for describing streets that is designed to be compatible with any source of street data, public or private. As a “connector,” the data standard takes an approach to streets based around unique, simplified intersection-to-intersection characteristics, rather than relying on a full, complex base map. This method also protects intellectual property; key data points, not the often complex, proprietary methods used to obtain them, are matched and exchanged. Funded by Bloomberg Philanthropies and developed by NACTO and the Open Transport Partnership, the full suite of SharedStreets tools also include a new hub for industry-leading planning and analysis. Based on the possibilities opened by the open SharedStreets data standard, the SharedStreets data commons provides a neutral, anonymized clearinghouse for data, ensuring that numerous streams of street-level information collected by transportation providers, auto companies, tech companies, and government agencies are available for analysis, traffic planning, street design and development of new technologies. The platform overcomes legal, regulatory and technological barriers that have long created a digital divide between the public and private sectors. 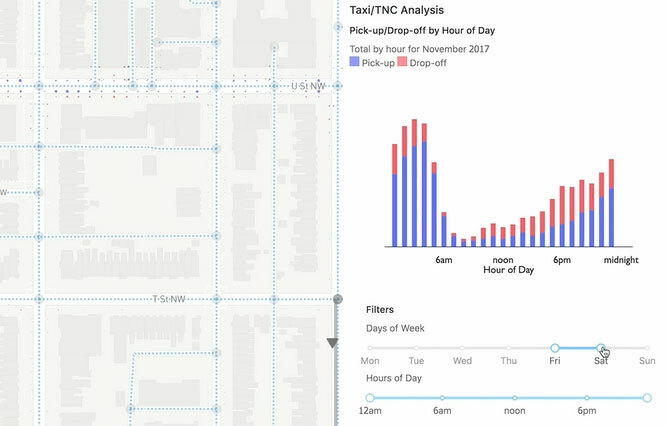 The platform will convert today’s ad hoc and disparate data transportation data from public and private sector sources into a mutually readable, shared, global standard for the first time, providing a universal language for digitally describing every aspect of city streets, opening a new market to private sector innovators, and eliminating of the need to manually “clean” and collate data sources, saving crucial public funds. SharedStreets — through its data standard and platform — eliminates the need for companies to tailor communications and tools on a case-by-case basis for individual cities, and provides access to a global network of leading cities to enable technological advancements. The data standard is hosted on Github, the world’s largest repository of open-source software. Visit the SharedStreets project online at http://sharedstreets.io. Previous ArticleWSP, Arcadis, Waggonner & Ball, and Yale Urban Design Workshop to design coastal resilience for Bridgeport, Conn.